You all are killing it in the Design Quest so far, with ideas about the landscape, inhabitants and even history of the Zone. In this thread, we will focus on the Zone's history. As I mentioned in the original brainstorming thread, this is a little bit unfair in the absence of some Lore-ish bits for you to sink your teeth into, so I will outline a few points that you should use in this thread to build some history for this very special Zone. Long (long) ago, the entire continent of Embermark was the very cradle of civilization. Vast empires, cultivated lands and prosperous towns were everywhere. Conflicts between city-states rose up, as they tend to do, and wars intermittently ravaged various areas of the continent. The methods used in one of these wars weakened the boundaries between worlds, causing what came to be known as the Collapse, when monsters, untamed beasts and invaders entered the land. Basically, everything fell apart and was overrun. Something stemmed the tide, which will be revealed later, but there is no longer full access to this world from theirs. Today, many years later, the continent is used to send criminals and ne-er-do-wells to in exile. They eke out an existence and even start to rebuild, finding lost pockets of civilization that never left, went underground or assimilated into the new order brought about by otherworldly invaders. 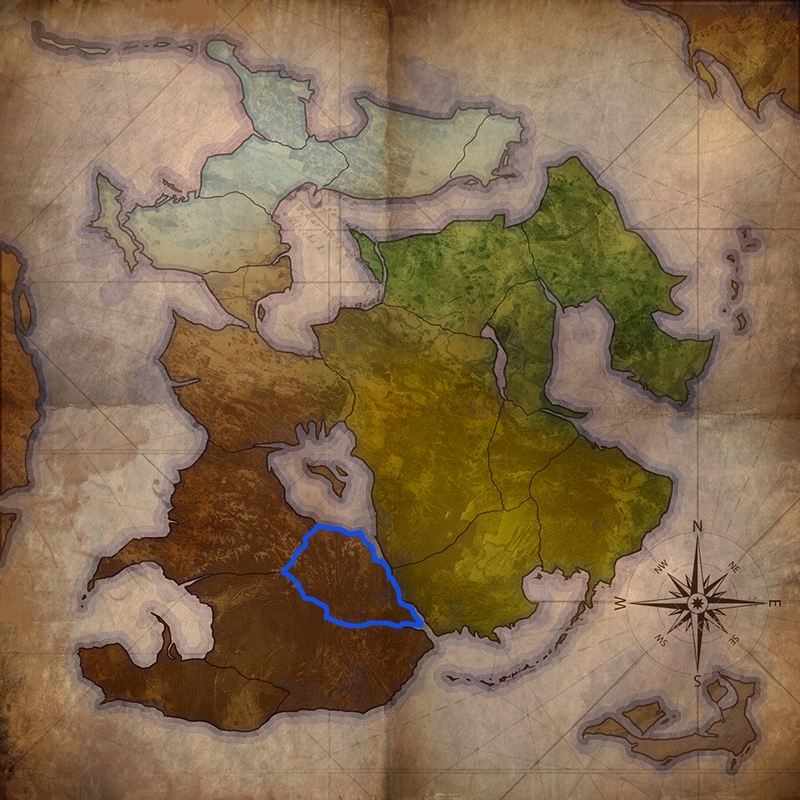 This Zone has a Breach (weakened area where beings can sometimes pass from one world to the other) near its borders. To get started, think about what once was here in this land. What happened? Where there conflicts, peace, multiple states? None? What went on for the eons prior to the Collapse? What has happened since? Remember, you are invited to throw anything that you fancy into this thread. If you need clarifications on anything, throw out questions as well as ideas. After we brainstorm a bit in each thread, I will compile the ideas that rise to the top and we will discuss those specifically to get down to what we'll ultimately use. After the Collapse Dwarves and Gnomes quickly filled this region. Mining deep into earth, and quarreling over who owned which tunnels. Not knowing that both were actually secretly working on the same goal. Both groups knew that deep down was a very dark and sinister portal that needed to be sealed before the humans discovered it and tried opening it thinking they could control the Dark beasts beyond. Two questions to start. How long ago did the collapse happen? Also, can we have the current terrain, and the terrain before the collapse explained in a little bit more detail? The mountains of Hertila were known for the ore their mines produced. The area was a thriving trade center were people brought goods of all kinds to trade for the ore. Smithies and craftsmen traveled from all over to try their hand at crafting works of art, ranging from weaponry to trinkets. A race of beings, known as the Orphalin were revered for their skills at mining and working the ores. Born of the earth many called them, for their greatest cities were deep in the ground. Few of their kind were made as diplomats for their race, only traveling above ground to trade goods with others and keep track of the conflicts above. No one is sure who placed the first order, or when. But the Orphalin were requested make weapons, many weapons. They debated long on fulfilling the request. But they decided to proceed, on the hopes that supplying weapons, would deter them from attacking the Orphalin for the ore themselves. So they did, they made weapons, many weapons. While the most obvious effects of the collapse were seen above ground, the area's volcanic heart was by no means spared. Though the mountain folk sealed their borders and hid from the chaos, their delvings were not safe from that which lay beneath. At the heart of the flames slumbered a beast of pure magical flame, pulled from realms unknowable, undisturbed from the time of the collapse. Until the mountain folk woke it up. It was this moment that they fell, the molten core if the mountain bound to the beasts will in its slumber surging forth. Though the iron hide bears were commanded to protect them, the magically infused lava eroded at the control spells, supplanting the master's will with the beasts own. The slaughter was total. It's wrath satisfied, the beast returned to its slumber, its new servants dedicated to ensuring that this time it remained undisturbed, until the day its power had replenished enough to rip back open the way home. On the plus side all that magic lava left behind a ton of amazing metals and stones. The Collapse was a few thousand years ago, so much has grown over, evolved and been built/re-built since then. The terrain was largely unaffected by the Collapse, as the effect of the Collapse was to open these Breaches that let one world access the next. The Breaches certainly change the landscape and dot it at various places on the continent, but the terrain (meaning mountains, swamps, forest, plains etc) is the same other than what the beings that came across did to it. Both the Gnomes and the Dwarves reach the Breach within a couple days of each other and set about building rune covered vaults on the side they each came to. Working diligently to seal the breach from being opened neither group realized the other was doing the same thing on the other side of a thin wall. Little did either know that their magics would eventually start to slowly erode each other opening small cracks in the Breach. I'mma riff on this, Darggie. At first their trade in weapons merely supplimented their trade in tools. Then it became clear that their weapons were of such exquisite quality and ability those who came to them were willing to pay huge prices. First it was the wealthy lake towns. Then the less noble but still wealthy pirates. Then it was the Wyverns hunters. Finally everyone had to have Orphalinian weapons. The weapons of war became the reasons for war. Factions within the Orphalinians grew and a full scale civil war happened. Closing the gates to the outside world the mines became battlegrounds, the forges became strongholds, and the cities became graveyards. Metal was not the only material for weapons, and the Orphalinians began to bind their very life force to the metal they forged, becoming living metal in some cases. This was such a sacrifice of personality and knowledge that many of the learned in Life Forging looked for surrogates. They found them in the mountainous regions native bear populations who would seek mineshaft and relief air shafts for their dens. This we're the Iron Hide bears created. Into this bloody conflict the Collapse introduced chaos. Suddenly the Orphalinians were fighting against other creatures they had never seen before, or dying of diseases no healer had encountered. Magic seemed to behave differently and sometimes it went wrong for no reason. Finally the the conflict came to a head when the many different species and factions began to do battle in the tunnels around the Molton core of a mountain deep in the range. Now thousands of years later the region is once again home to Wyverns hunters, Cities, and pirates. The fortune hunters among them have begun to delve into the ancient mines and mountain homes of the old Orphalin race. To their horror, however, some have discovered that the Orphalinian metal not only makes the best weapons, sometimes those weapons walk, or roar with life of their own. Above all the Orphalinian weapons have one thing in common: they kill. I kinda see the stinky pirates as current, living in the ruins of whatever peoples lived in the bay area previously. I like the idea that they are purely scavengers, they don't build anything really. So their Pirate fortress would have originally been built by someone else and for some other purpose. Think Mad Max type scavengers for these guys. And all they care about is booty (ha!). But as to what came before them... that I leave to you guys. (Also, Sand Skimmer is awesome name, thankyou Mr Drakythe!). There is a reason the pirates use sand skimmers to cross the desert... The best way to cross is quickly, lightly, and as directly as possible. Deep in the desert there are ancient sleeping things. These things do not like being woken. Much less by smelly, drunk, pirates asking if they can borrow your booty, just to look at it, like. Quick sand; shifting sand; hungry, hungry sand hippos. Do not linger here, but if you must, tread lightly, quickly, and surely or risk the ire of the ancient and sometimes very flatulent Sand Beasts. Are they worms? Or Wurms? Wyverms? Or perhaps just the desert herself, taking what is her due? Many moons ago, all the local tribes were at peace. Though no formal peace treaty kept them together, it was an unwritten rule to not attack one another within the zone. This kept trading within the zone stable, which was needed since travel was treacherous through the mountains. Outside the zone though…fair game. Each tribe would send every male on their 16th birthday to help fight in the war with the neighboring zones, though the fight against zone Anglon was the most feared due to the intense bloodshed. Anglonican’s had somehow managed to tame a pack of Spiderwolves, and our people were the fodder. However, after the collapse, it was every tribe for themselves. Conflict broke out all over the zone, trading was lost, and many chose to hide in small packs (or by themselves) inside the caves and caverns. Some even ventured underground, where it is rumored that an underground city lies. The three largest settlements of Creel, Abigado and Onul were able to maintain security through formidable armies, and each of the cities is very diverse since most of their inhabitants came from small tribes. Very few in each city are considered “bloodkin”; those whose ancestors had always lived in the cities. Unfortunately for us, most of the higher political and sought after positions required someone to be bloodkin. Therefore, the bloodkin remain safe whilst the rest of civilization fights the good fight. Trading, the roots of our zone, remain profitable but now each individual is responsible for walking the treacherous routes in between cities. Most of the internal fighting has ceased, but there is always danger when walking “the trade road”.